Different religious traditions divide the seventeen verses of Exodus 20:1–17 and their parallels in Deuteronomy 5:4–21 into ten "commandments" or "sayings" in different ways, shown in the table below. Some suggest that the number ten is a choice to aid memorization rather than a matter of theology. Two famous films with this name were directed by Cecil B. DeMille: a silent movie which was released in 1923 and starred Theodore Roberts as Moses and a colour VistaVision version which was released in 1956, and starred Charlton Heston as Moses. ^ Rooker, Mark (2010). 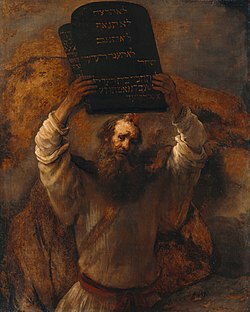 The Ten Commandments: Ethics for the Twenty-First Century. Nashville, Tennessee: B&H Publishing Group. p. 3. ISBN 0-8054-4716-4. Retrieved 2 October 2011. 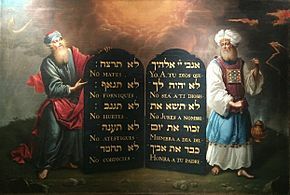 The Ten Commandments are literally the 'Ten Words' (ăśeret hadděbārîm) in Hebrew. The use of the term dābār, 'word,' in this phrase distinguishes these laws from the rest of the commandments (mişwâ), statutes (hōq), and regulations (mišpāţ) in the Old Testament. ^ a b "Exodus 34:28 – multiple versions and languages". Studybible.info. Retrieved 9 December 2012. ^ "Deuteronomy 10:4 – multiple versions and languages". Studybible.info. Retrieved 9 December 2012. ^ a b Block, Daniel I. (2012). "The Decalogue in the Hebrew Scriptures". In Greenman, Jeffrey P.; Larsen, Timothy (eds.). The Decalogue Through the Centuries: From the Hebrew Scriptures to Benedict XVI. Westminster John Knox Press. pp. 1–27. ISBN 0-664-23490-9. ^ Milgrom, Joseph (2005). "The Nature of Revelation and Mosaic Origins". In Blumenthal, Jacob; Liss, Janet (eds.). Etz Hayim Study Guide. Jewish Publication Society. pp. 70–74. ISBN 0-8276-0822-5. ^ Rabbi Ishmael. Horowitz-Rabin (ed.). Mekhilta. pp. 233, Tractate de-ba-Hodesh, 5. ^ Margaliot, Dr. Meshulam (July 2004). 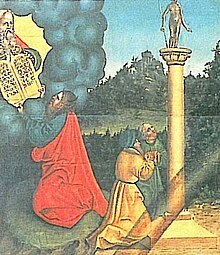 "What was Written on the Two Tablets?". Bar-Ilan University. Retrieved 20 September 2006. ^ Olmstead, Thomas F. "The Savior's Use of the Old Testament". Ensign. The Church of Jesus Christ of Latter-day Saints. p. 46. Retrieved 28 November 2013. ^ a b "Ten Commandments". Gospel Library. The Church of Jesus Christ of Latter-day Saints. Retrieved 28 November 2013. ^ "Mosiah 12:34–36". Lds.org. Retrieved 5 April 2018. ^ "Mosiah 13:15–16". Lds.org. Retrieved 5 April 2018. ^ "Mosiah 13:20–24". Lds.org. Retrieved 5 April 2018. ^ Cramer, Lew W. (1992). "Abinadi". In Ludlow, Daniel H. (ed.). Encyclopedia of Mormonism. New York: Macmillan. pp. 5–7. Retrieved 28 November 2013. ^ Thomas S. Monson. "Stand in Holy Places - Thomas S. Monson". Lds.org. Retrieved 20 January 2016. 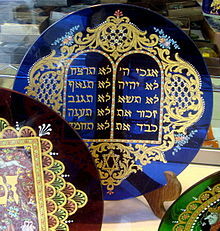 ^ "''Encyclopedia Judaica'' vol01 pg 424". 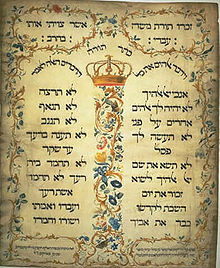 Jewishvirtuallibrary.org. Retrieved 5 April 2018. ^ Bright, John (2000). A History of Israel (4 ed.). Westminster John Knox Press. p. 146. Retrieved 9 December 2012. 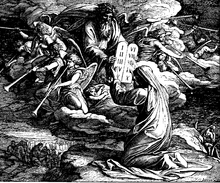 ^ "MPR: The Ten Commandments: Religious or historical symbol?". News.minnesota.publicradio.org. 10 September 2001. Retrieved 9 December 2012. ^ "Fifteen Commandments". YouTube.com. 10 August 2012. Retrieved 5 April 2018. Watts, James W. (2004). "Ten Commandments Monuments and the Rivalry of Iconic Texts" (PDF). Journal of Religion and Society. 6. Retrieved 27 August 2014. This page was last edited on 21 April 2019, at 04:31 (UTC).